The Eastern Cape is often made out to be the poor little foster kid of the country. In the Western Cape, for example, municipal service crews landscape the grass next to perfectly tarred national roads, while in the Eastern Cape, everything aforementioned is unheard of. You shouldn't, however, let this facade of order fool you. In the first place, EC locals will hunt you down if you try to cut the grass next to the road. It’s meant to feed grazing livestock, you see. Also, terms such as ‘municipal services’ and ‘national roads’ take on vastly different and even completely irrelevant meanings in EC – and it’s a good thing. The small misunderstandings modern civilisation imposes on the Eastern Cape makes this serene province seem dangerous, untamed and rural in the eyes of outsiders. But the Eastern Cape is everything but violent, dangerous and poor. It is one of the richest, best-kept secrets of South Africa. National roads aren’t a big worry there, neither should they be. 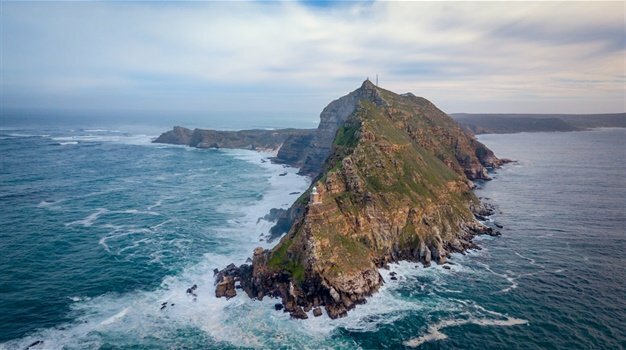 The province boasts EVERY kind of natural beauty and landscapes available in SA – from the bitterly cold, dry Karoo to white sandy shores and even tropical forests, ancient shipwrecks and majestic mountains! The best way to explore this diversity is to walk right through it, so bugger the roads. Although there are certainly some rough and tough hiking trails available, hiking in the Eastern Cape shouldn't be a gruelling expedition if you don't want it to be. What: A scenic stroll where you’re most likely to spot the Blue Duiker – the nearly extinct smallest antelope in SA with small white bambi spots on its hindquarters. The trail takes you through the heart of the Tsitsikamma forest. Info: Click or tap on this link and this link. Info: Click or tap on this link, this link and this one for good measure. What: The hike up the koppie to see the first famous female writer of South Africa’s sarcophagus is a must for all Karoo lovers – and especially those who enjoy literacy about this area. In Schreiner’s book, The Story of an African Farm, she vividly described the landscape and when hiking up this trail which she too walked, it is as if one literally lives inside her novel. Info: Click or tap on this link. What: A unique and quaint hike alongside the Blindekloof Stream to the Crystal Cavern Pool. If you go on a hot day, it's the perfect spot for a dip in the ice cold water. What: One of the most iconic Wild Coast activities is to visit Hole in the Wall just south of Coffee Bay. Hole in the Wall is a massive rock formation in the sea with, you guessed it, a hole in the middle! From Coffee Bay, a three-hour up-and-down hike will get you there. This hike is an active and cultural experience where you will meet and greet many locals en route. The perfect opportunity to practice your newly acquired Xhosa phrases.